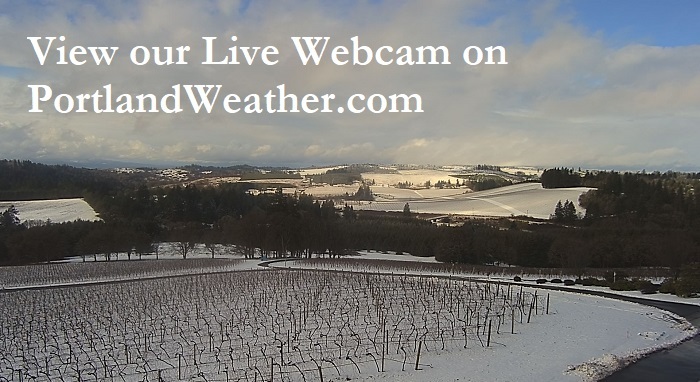 Willamette Valley Vineyards does not cancel events due to weather except in the most severe of conditions. Unless otherwise noted on our website, the event will proceed as normal. Should you have concerns about being able to arrive at the winery safely due to the weather, please contact us at 503-588-9463 or by email at info@wvv.com. Conditions are regularly evaluated and the decision to cancel an event would most likely occur within 24 hours of the event itself. Please check our website for the most up-to-date information as any cancellation/delay notice will be posted on the homepage. In the unlikely situation that an event is canceled, we will contact all confirmed event guests by email immediately to make arrangements or facilitate rescheduling and/or refunds. Estate Tasting Room closures will be posted on our homepage.